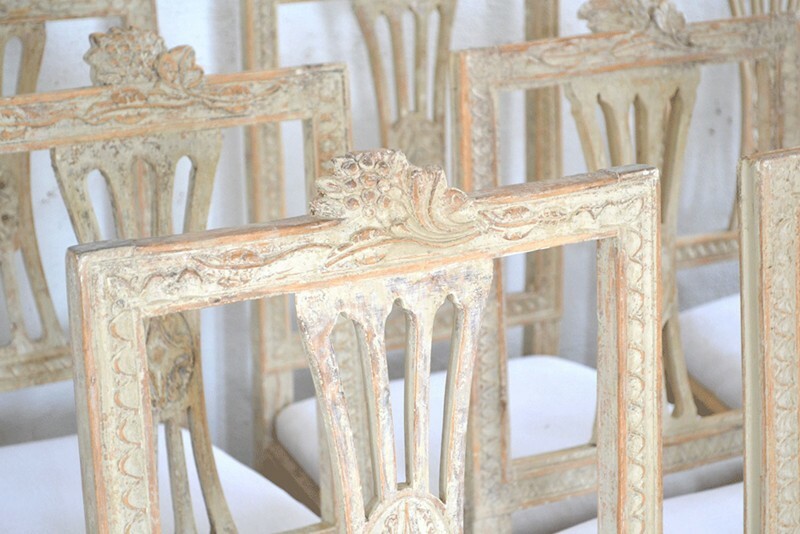 Set of 12 well carved similar period Gustavian chairs. Made in the Swedish chair region of Lindome in the beginning of the 19th century. One chair is signed IAS (Johannes Andersson, Skår. 1763-1840. Repainted and restored. Seat height: ca 46 cm. Seat depth: ca 36 cm.